This collection of country graphics is perfect for all your Wintertime projects. 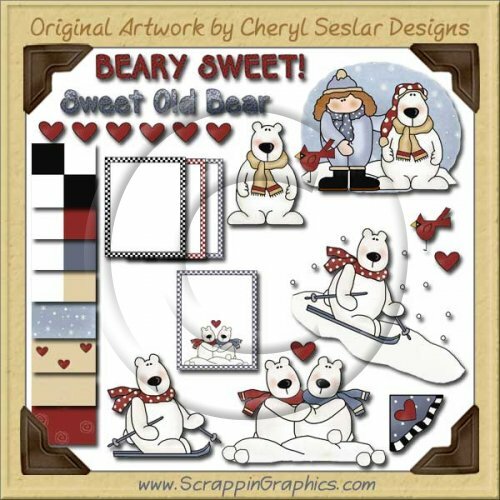 This set includes 23 different graphics : 8 coordinating backgrounds, 4 frames, BEARY SWEET & SWEET OLD BEAR word art, heart borders/divider, heart photo corner, cardinal, girl with bear, polar bear couple, polar bear single, polar bear on skis, polar bear skiing. Great collection for making scrapbook pages, cards, labels, tags, invitations, and other printables.